Usually when people think of green, it goes with the saying, "Green with Envy". 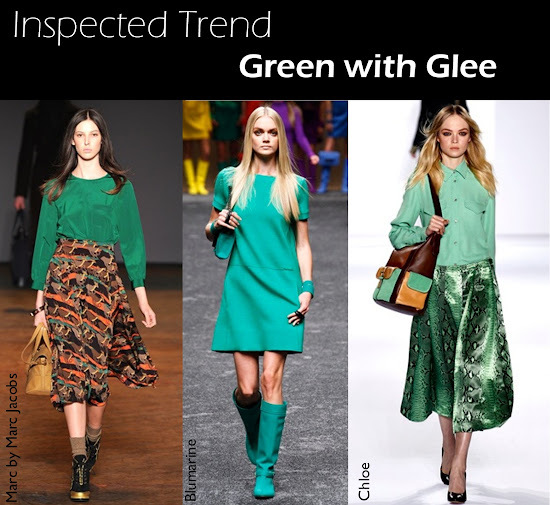 I'm not going to follow the foot steps of other people so as a homage to St. Patty's Day I pulled together gleeful looks from the runway that had a touch of green. Some people may not want to wear green today because of the obvious but other days throughout the year you still look chic if you play your green cards right.